Oregon Symphony will present many interesting concerts during the month of April. Check out the offerings below. The Oregon Symphony's April concerts in the Arlene Schnitzer Concert Hall feature exciting soloists across multiple genres, with Oregon's Pink Martini and guest vocalist Meow Meow leading things off April 1 in an evening of new songs from her collaborative album with band leader Thomas Lauderdale, "Hotel Amour." The April 1 concert takes place at 7:30 p.m. International chanteuse extraordinaire Meow Meow joins forces with the Oregon Symphony, Thomas Lauderdale, China Forbes and Pink Martini for an evening of subversive wit and sublime performance. Pink Martini is among Oregon's best known and most beloved ensembles. It has performed its repertoire in over 25 languages on concert stages with more than 70 orchestras around the world for more than 20 years. Tickets begin at $35. April 2, artists from the Monterey Jazz Festival including 2019 Grammy winner Cecile McLorin Salvant will perform an evening of standards and original compositions. This concert takes place at 7:30 p.m. The Monterey Jazz Festival on tour features a top roster of diverse and international talent and the leaders of jazz's future. The 2018/2019 Classical Season continues April 6 through 8 with concerts featuring Emanuel Ax performing Haydn's Piano Concerto in D and Stravinsky's Capriccio. These concerts have different start times; April 6 is at 7:30 p.m., April 7 at 2 p.m., April 8 at 7:30 p.m., all at Arlene Schnitzer Concert Hall. Acclaimed pianist and Oregon Symphony favorite Emanuel Ax returns to perform a pair of lighthearted yet demanding works from two different centuries: Haydn's popular Concerto in D and Stravinsky's Caprioccio for Piano and Orchestra, which Ax describes as "a kind of circus, like Ringling Bros."
The concert also features John Corigliano's First Symphony, "Of Rage and Remembrance." Written in 1988, this work is the composer's response to the ravages of AIDS in the early years of the epidemic, when a diagnosis equaled a death sentence. Inspired by the AIDS Quilt, Corigliano used each movement to memorialize a friend lost to the disease. In honor of Corigliano's work, the Oregon Symphony has partnered with Portland nonprofits Our House, Cascade AIDS Project (CAP) and the Portland Gay Men's Chorus for a special lobby display of AIDS quilts as well as commemorative T-shirts from 33 years of CAP's annual AIDS Walk Portland event. Tickets begin at $24. April 13 the Oregon Symphony continues its much loved tradition of hosting a free public concert prior to its annual gala event. This concert begins at 6 p.m. This season's pre-gala Concert for the Community: Music of the Americas is under the direction of Carlos Kalmar. The Schnitzer Wonder Award, given to organizations that nurture youth performing arts activities, will be awarded during the evening. This year's award will be presented to Mariachi Una Voz of Hillsboro School District, representing the founder and manager Dan Bosshardt. This concert is free but seats must be reserved in advance at orsymphony.org. 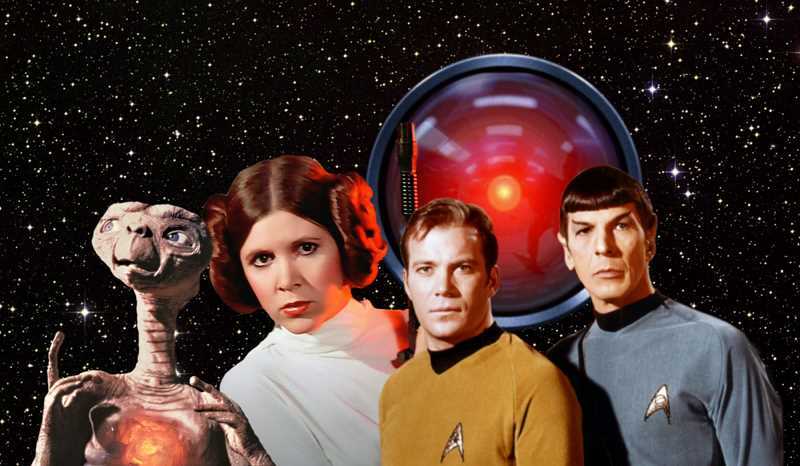 The month closes with Pops Conductor Jeff Tyzik leading the orchestra on a journey through the stars of music from sci-fi's greatest film scores at 7:30 p.m. April 27 and 2 p.m. April 28. The concert features several scores by John Williams, who has won 24 Grammys, four Golden Globes and five Academy Awards, along with a record 51 Academy Award nominations for Best Film Score over the course of his six-decade career. Tickets start at $23. Tickets for all concerts can be purchased online at orsymphony.org or in person at the Oregon Symphony ticket office located at 909 SW Washington St., Portland, OR 97205.